The aluminum enclosure of Apple’s(s aapl) iPhone 5 and 5s is sleek and thin, a design trademark of the company. So an aluminum case for the handset sounds appealing, no? There’s only one problem: Using metal as a case material can affect phone reception. It’s a problem that’s been solved, however: A Kickstarter project for the Kloqe aluminum case has a patent-pending design that won’t affect the iPhone’s multiple antennas. 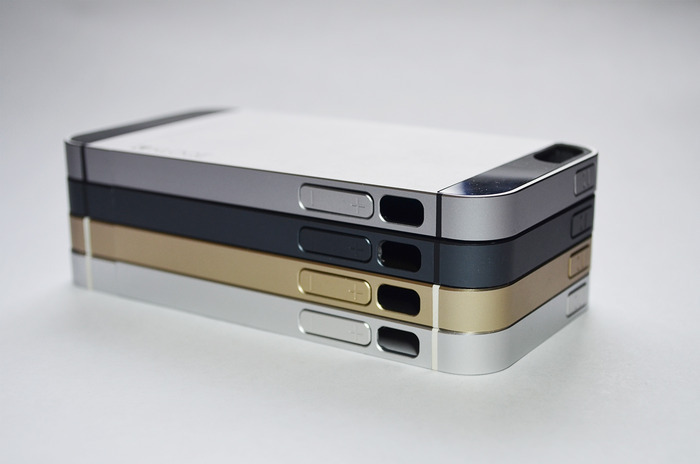 As a result, the Kloqe wraps the iPhone 5 or 5s in aluminum in a design that’s very similar to the iPhone itself. Here’s a video look at the case and its design, which adds a minimal thickness to iPhones. With aluminum considered a premium material, don’t expect the Kloqe to come cheaply. Early birds can still get in on an $89 deal, but it appears the full retail price will be $99. Kloqe will be available in four colors: black, white, space grey and champagne. The project has topped its $25,000 funding goal and still has 12 days to go; the first cases are expected to ship in April. I don’t believe it. I WANT to, but I can’t, after having been burned by aluminum cases in the past. They look lovely and will keep that iPhone looking like an iPhone. I suspect the antenna trick is no big deal. They simply duplicated or almost duplicated the lengths and breaks in the existing wrap-around antenna and depended on close coupling between the two. Of course, with today’s give-happy USPTO, they may still succeed in getting that patent.